Thomas Jackson Bytheway, 12, of Woodland near Kamiah, passed away January 31, 2019 at Sacred Heart Hospital in Spokane, Washington. Thomas was born in Woodland, Idaho near Kamiah to Shane Bytheway and Angela Whitehead Bytheway. He grew up in the Woodland area on the family ranch, where he could run and explore the outdoors. Living on a ranch requires you to learn many skilled trades. He was an accomplished carpenter, and was learning to weld. He also learned how to make knives. At the age of 9 Thomas came to a saving knowledge of Jesus Christ. He attended Kamiah Elementary School and Jr. High. 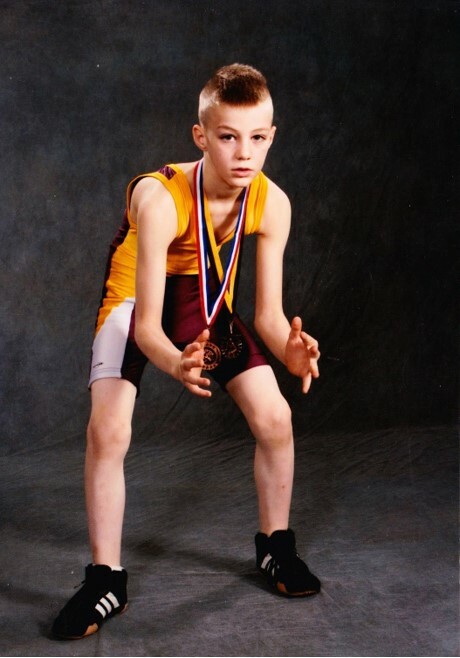 Thomas was an accomplished wrestler and had been in USA Wrestling for the last 5 years and just started Jr. High Wrestling. He held 9 Gold Medals, 4 Silver Medals, and 3 Bronze. Recently he learned to ice skate and wanted to play hockey on the Lewiston team. He also enjoyed basketball. Thomas is survived by his father Shane (Carley) Bytheway of Woodland; his mother Angela Whitehead Bytheway of Lewiston; siblings Stormy Gleason of Amarillo, TX, Mary (Larry) Leaton of Kamiah, Elisheba Bytheway of Caldwell, Abigail, Zacharias, Sarah, Amos, Andronicus, Susanna, Phinehas, Chloe, William, Shirley, Ember, and Annaleigh all of Woodland; his grandparents Bert and Joyce Bytheway of Amarillo, TX and Bob and Mary Whitehead of Amarillo, TX. He was preceded in death by his grandmother Jodi Bytheway. A viewing will be held Friday February 8, 2019 at Trenary Funeral Home from 4:00 pm-8:00 pm. The Funeral Service will be held at 10:00 am on Saturday February 9, 2019 at The Life Center Church, 4432 Highway 12, Kamiah.